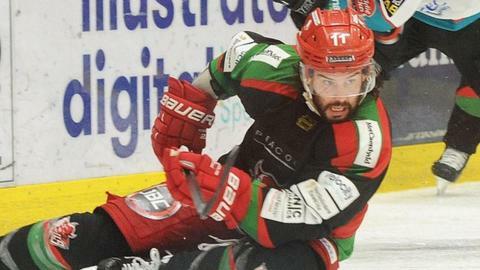 Cardiff Devils kept their Elite League title hopes alive with a 2-0 win away to Coventry Blaze. In a tight end-to-end game, Devils finally broke the deadlock on 50 minutes when the puck deflected off Bryce Reddick's skate into the net. Devils doubled their lead a minute later, with Stephen Dixon claiming another deflected goal. Devils are level on scores with leaders Belfast Giants, but have a game in hand. They return to Cardiff on Sunday to take on Sheffield Steelers, while Coventry travel to Dundee Stars.